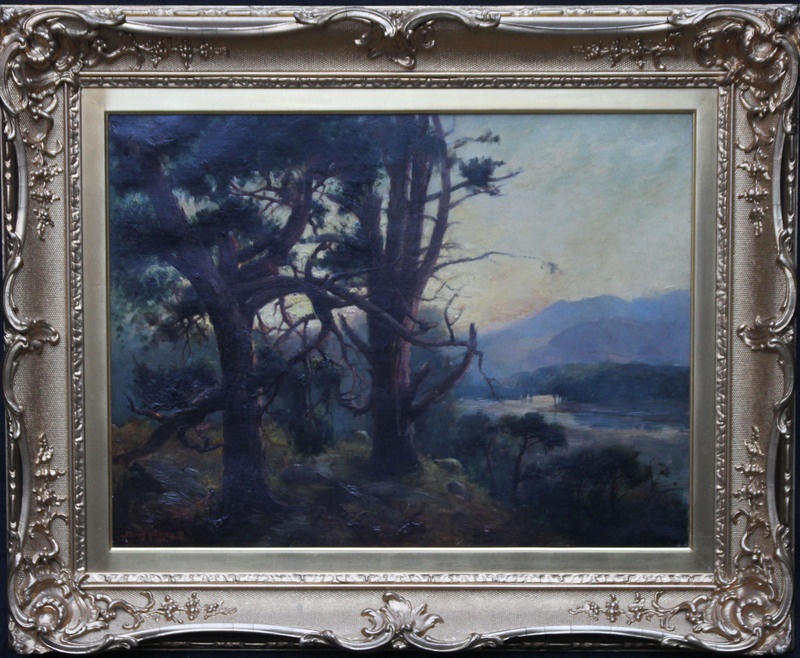 This charming atmospheric oil painting is by Scottish artist Henry Jobson Bell and was painted in 1904. The work depicts a sunset view from pine trees looking down onto a river and more hills in the background. The painting has a very soft impressionist feel to it, created by the muted evening tones. Signed and dated lower left. Housed in a lovely gilt frame 32 inches by 24 inches and in excellent condition. Henry Jobson Bell (1863-1925) was an Edinburgh based artist who specialised in interiors and landscapes in oil and watercolour. 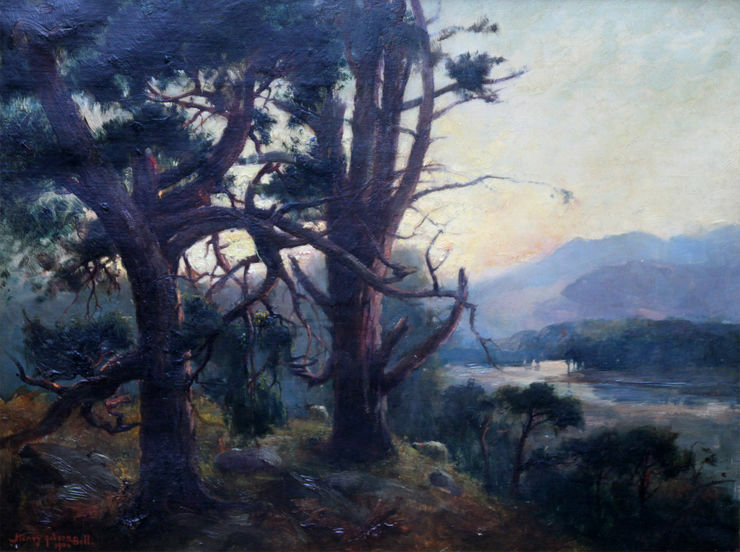 He exhibited 6 paintings at the Royal Academy in 1894, 1895 and 1899, including a fine broadly painted study of Eilan Donan Castle; also Royal Scottish Academy (20), 1887-1916, generally Scottish landscapes and rural scenes; also Glasgow Institute (11) regularly at the Aberdean Artist's society 1893-1921 and Liverpool (2). His last years were spent in Dundee.